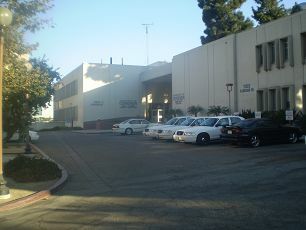 Below are some photos I took of the crime scene and LA area during a visit in October 2008. Just your typical LA tourist! 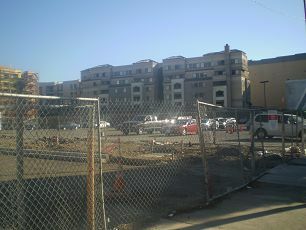 The car park that lies on the corner of 2nd Street and Los Angeles Street. This is where the victim is found in The Killing Hands. Comment: The car park was quite a bit smaller (like about one-third of the size) than I’d realized (found it on Google Maps originally), but the building site behind it worked really well with the narrative and crime-scene location. 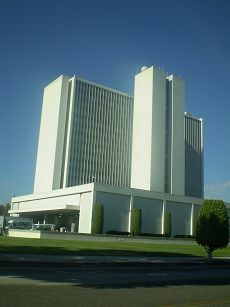 This is the Federal Building on Wilshire Boulevard, which houses the FBI as well as Veteran Affairs, passport office, etc. Sophie works on the twelfth floor – floors 10-20 are all FBI or law enforcement related. Comment: When I was visiting the building, I was snapping away when a security guard appeared and informed me that I was not allowed to take photos of the Federal Building. I had to delete (in front of him) all the video footage and photos that showed the building in more detail (i.e. that were taken from closer in). He was an absolutely lovely guy though, and so nice about it! My Aussie accent may have helped! 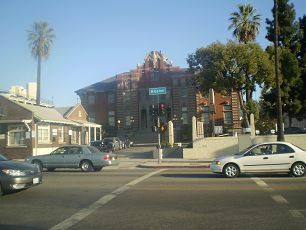 The Coroner’s Office is located on Mission Street, downtown LA. Comment: This is taken from Mission Street and shows the main administrative building, and to the very right you can see another, white building (see below). Comment: This is where the autopsies actually take place. 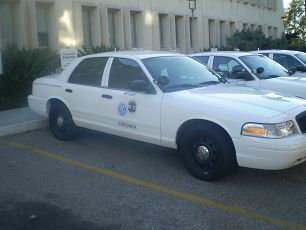 Comment: The official cars of the Coroner’s Office. Mee Kim – knew victim somehow? Obviously I don’t want these case files to contain spoilers, so I can’t detail every single clue and how it plays out during the investigation. However, this is a summary of the starting point. 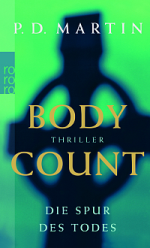 Debris at crime scene – finger prints? Vic’s clothes to trace – drugs? VICAP – any similar murders? Mee Kim – relationship to vic?